ISE 2019 attendees can get first-hand looks at newly announced next-generation Crestron DM NVX, its portfolio of Flex UCC solutions and more. “We have a lot of exciting things to share” at ISE 2019, says Nic Milani, executive director, commercial product marketing, Crestron. Crestron charges into Integrated Systems Europe (ISE 2019) as newsmakers, fresh off announcing its next generation of Crestron DM NVX network AV that includes newly-developed Pixel Perfect Processing technology and Crestron Flex UCC portfolio of unified communications and collaboration solutions. “We have a lot of exciting things to share,” says Nic Milani, executive director, commercial product marketing, Crestron. It all will be on display during ISE 2019 at Crestron stand 2-E30. 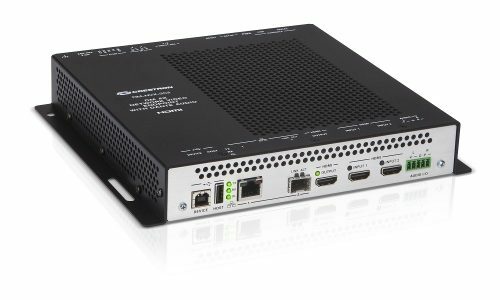 New Crestron DM-NVX-352 with Dante audio networking and AES-67 audio is shipping with Pixel Perfect Technology, and all current DM NVX products can get a free Pixel Perfect Processing firmware upgrade. AV professionals who have been following the 1G vs. 10G AV-over-IP debate that often pits Crestron’s previous generation DM NVX solutions against Crestron competitor’s 10G solutions in side-by-side trade show demonstrations will be paying particular attending at ISE 2019. “With Pixel Perfect Processing in the new DM NVX product line we really think the 1G vs. 10G debate is dead,” Milani says. With Pixel Perfect Processing, which essentially improves JPEG 2000 encoding and decoding, Crestron says it has foiled those side-by-side comparisons. Instead, Crestron invites comparisons between next-gen Crestron DM NVX with direct-to-PC. “You have to see it live for yourself,” Milani says. There is a lot for ISE 2019 attendees to see when it comes to Crestron Flex, which is a complete portfolio of unified communications and collaboration solutions that feature native support for Microsoft Teams, Skype for Business, and Zoom Rooms software. “It’s the industry’s first UC line that goes from the board room all the way down to individual workstations – and all the spaces in between,” Milani says. 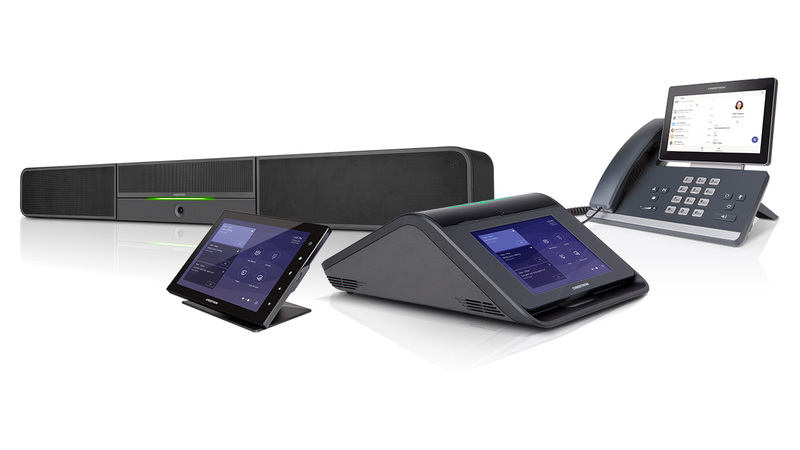 Crestron Flex P100 Series — Crestron’s first ever voice-over-IP desk phone, delivering the Microsoft Teams or Skype for Business experience to users of desktop phones. Crestron Flex B100 Series – A wall-mount sound bar, it’s designed to deliver clear audio with a beam forming microphone array and an integrated 4K high-definition camera. Crestron Flex M100 Series – A tabletop solution for securely calling, presenting, and videoconferenceing using Microsoft Teams, Skype for Business, or Zoom Rooms software. Crestron Flex C100 Series – An integrated UC kit that brings one-touch join to custom spaces. Visit Crestron Crestron stand 2-E30 during ISE 2019 to see DM NVX, Flex and much more. Thanks for the useful Information. You did a commendable effort to explain Crestron DM NVX in a detailed manner. As technology is growing & upgraded products are always on the way, to cope up with this rising demand Crestron DM NVX is a valuable product used nowadays in terms of cost & quality.